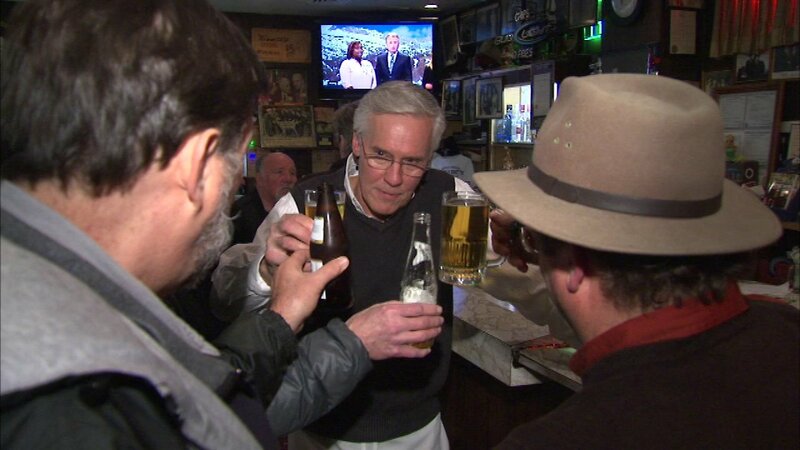 Jeff Magill toasts to his retirement at the Billy Goat Tavern at Michigan and Hubbard. CHICAGO (WLS) -- There was a final toast for a long-serving Chicago bartender tonight. Jeff Magill is retiring after his shift Thursday night at the Billy Goat Tavern at Michigan and Hubbard. He's worked the bar there for the past 34 years. He chose Christmas Eve as his last call because he say it's one of the happiest days of the year.